The hand-made quality of the Moderate Set cymbals is supberb. Produced with the all-around player in mind, these cymbals are cast with the same superior alloy as all other series (unlike box sets from other manufacturers who downgrade by using cheaper alloys). Moderate set cymabls are hand-hammered, hand-lathed & hand-polished to a brilliant finish. 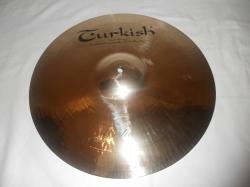 Note when you play on the Ride cymbal, the sound is silky-smooth, and blazes with a dark intensity. 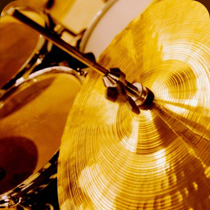 The HiHats, a heavy bottom cymbal combined with a lighter top cymbal, are carefully selected and timbre-tested to match the ride cymbal perfectly. The crashes are fast and explosive. Check them out , and you'll be delighted! Crash: The right amount of strenght & articulation. Excellent projection.